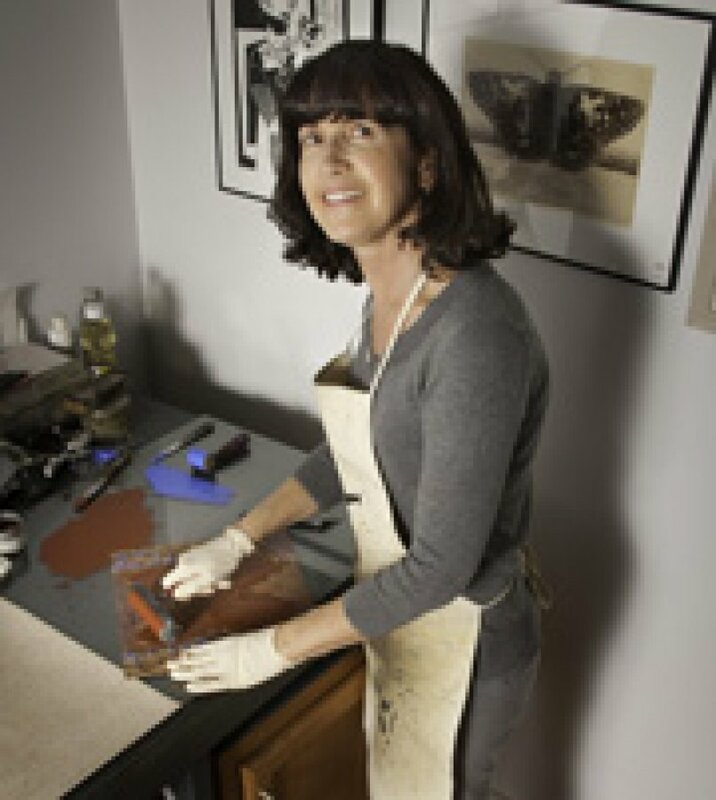 Anne embarked on a science career and along the way was captivated by the world of art, finding a passion for printmaking, with its many creative possibilities. 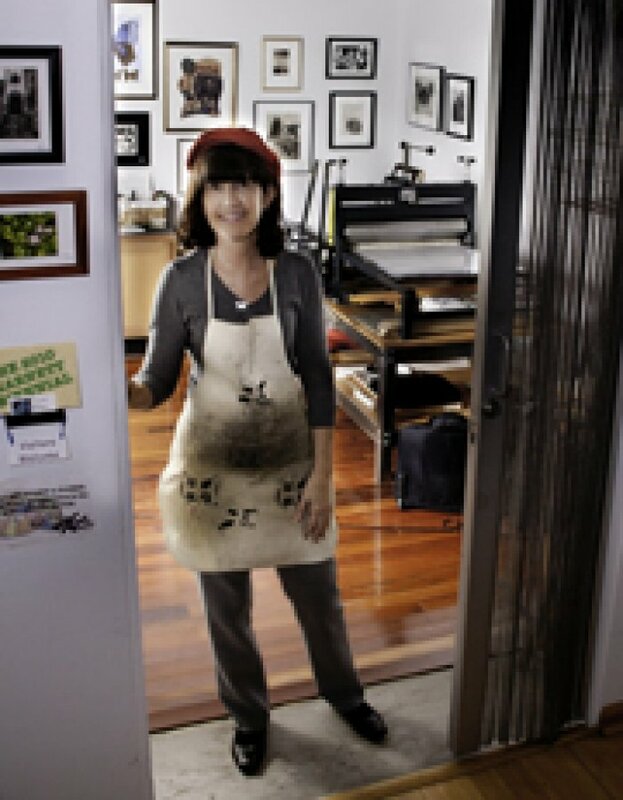 Since graduating from Old Dominion University in 2003, she has continued to explore printmaking, experimenting with new techniques and products while being dedicated to maintaining a toxin-free studio. She has a BS in Biology from Virginia Tech and a BFA from Old Dominion University in Norfolk, Virginia. As a printmaker I have an affection for a myriad of print processes and with my love of drawing, etching is one of my favorites. From the etched plate surface to the finished print, the journey can be a challenge but the beauty of each draws me in, with the dark values creating a moodiness I enjoy. My love of nature and early experiences as a biologist have influenced my subject choices as much of my work depicts the natural world of plants and animals in a realistic way with some playful aspect added, such as an unusual setting. Working on a series of birds in a cemetery setting, I found it fascinating that birds as well as other animals in this setting can symbolize many things, such as eternal life or even peace. Having a fondness for small creatures, I have included many butterflies in my work, exploring their shapes, colors and textures as linocuts and etchings. I enjoy the embossed look of a linocut and the surprise result that often comes with the final printing. As a painter and biologist, I have been inspired by some of the smallest living creatures, unseen by the naked eye, allowing me to stretch my imagination with endless possibilities.